This pictorial flowchart shows the main stages in the manufacture of a childs’ toy trolley. Each stage is drawn / written within a circle or hexagon. The hexagons represent quality checks and the circles represent each stage of manufacturing. 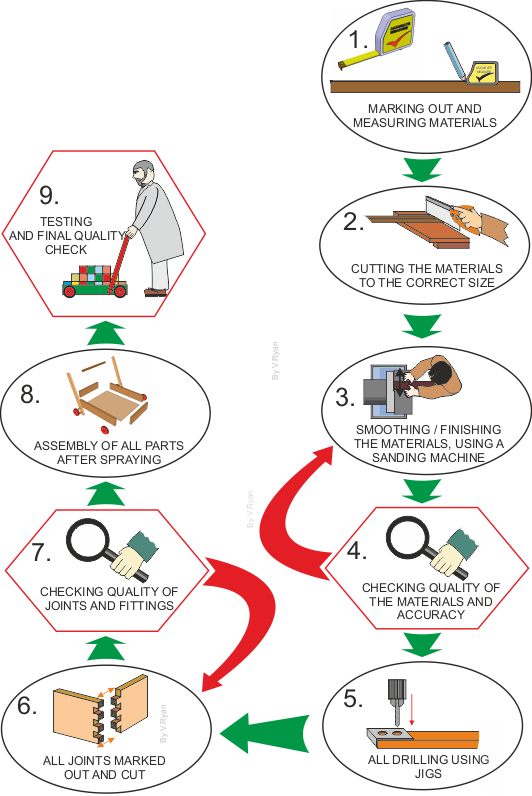 The green arrows show progress through the stages of the flowchart and red arrows represent a failure during quality checks, which results in the previous stage being carried out again. This pictorial flowchart is based on a filmstrip. All the drawings and the ‘filmstrip’ have been sketched, rather than accurately drawn with drawing equipment. 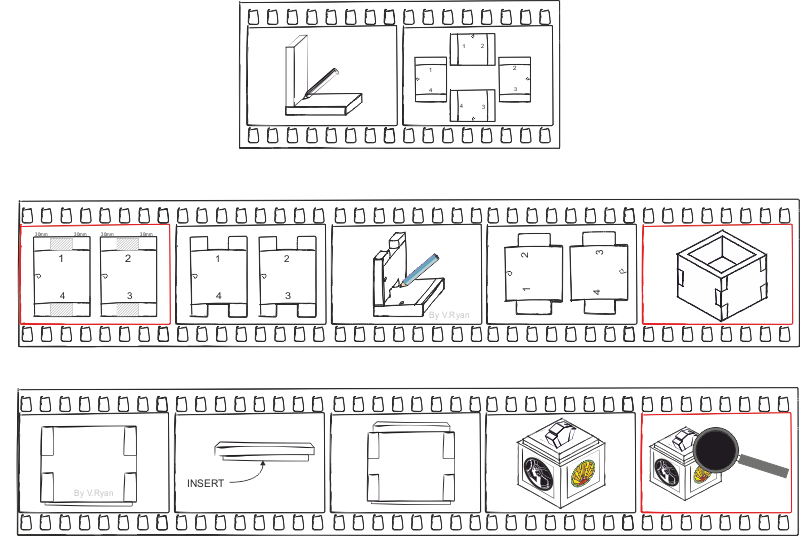 The pictorial flowchart shows the stages of manufacturing a small Art Deco jewellery box. The quality checks have a red frame rather than the normal black frame. A filmstrip approach is ideal for a pictorial flowchart, because everyone recognises the shape and that they flow from left to right.